not near Casca. Have an eye to Cinna. Trust not Trebonius. Mark well Metellus Cimber. Decius Brutus loves thee not. mind in all these men, and it is bent against Caesar. way to ​conspiracy. The mighty gods defend thee! 'Caesar, beware of Brutus. Be careful of Cassius. Don't go near Casca. Look out for Cinna. Don't trust Trebonius. Watch out for Metellus Cimber. Decius Brutus is not a friend to you. You have wronged Caius Ligarius. All these men are of one mind, and it is turned against you. If you're not immortal, watch out. Overconfidence leads the way to conspiracy. May the mighty gods defend you! I'll stand here until Caesar passes by, and I'll give this to him like someone presenting a petition. It saddens me that virtue cannot live without being threatened by those who envy greatness. 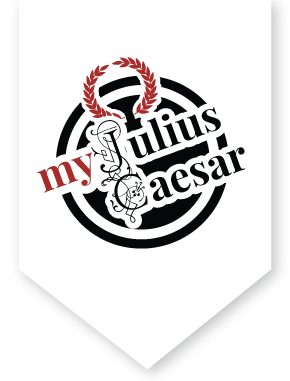 Oh Caesar, if you read this, you might still live; if not, then the Fates are working on the side of the traitors. The Fates are three mythological goddesses who determined the future. Artemidorus suggests that if his letter does not reach Caesar, than the Fates are conspiring with the conspirators, and Caesar will die.